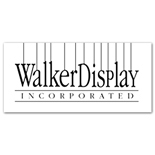 Take Me Back to www.WalkerDisplay.com! Walker Display will be closed Monday, May 27, 2013 in observance of Memorial Day while we remember those who died while serving in the United States military service. This entry was posted on May 24, 2013 by walkerdisplay in Uncategorized and tagged memorial day, picture hanging system, walker display.